After a week of Panda Express recipes, I thought I’d switch things up with one of my favorite Italian Recipes – Lasagna. Fair warning: this isn’t your traditional Olive Garden Lasagna swimming in oil, meat, and cheese. 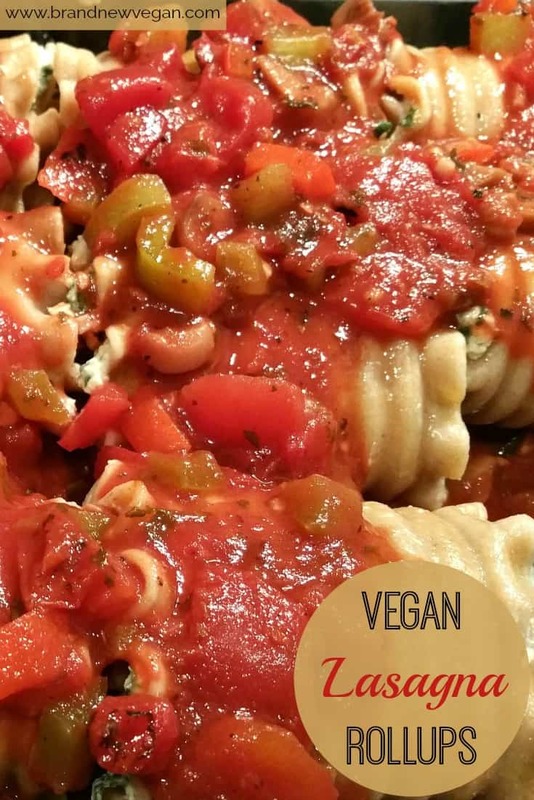 Nope – these are Vegan Lasagna Rollups, using a creamy Tofu Spinach Ricotta for the filling, and an amazing homemade Marinara Sauce full of fresh veggies and mushrooms. This is the recipe to impress your omnivore friends – and trust me – it will have them coming back for more. 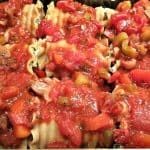 The Marinara Sauce is the main feature of this recipe. It’s so versatile I use it on spaghetti, as a pizza sauce, or even just on toast as a chunky Bruschetta. And it’s easy to make from everyday ingredients. The recipe for my Divine Fat Free Marinara Sauce can be found here. You’ll need about 3 cups for the Lasagna. The ‘ricotta cheese’ in this recipe comes from my older Lasagna Recipe. You’ll need about 1/4 cup of cashews presoaked in hot water. The longer you can soak them, the creamier they will get. Start the soaking process before you make the marinara and by the time you get to the cheese, they’ll be ready. Drain and press a 160z block of extra-firm Tofu and add it to a blender with a few cloves of garlic, the drained cashews, lemon juice, vinegar, and spices. You’ll have to use a rubber spatula a few times to make sure everything is mixed well. Adjust your seasonings to taste. Then mix in a few handfuls of shredded spinach. I actually used half a bag of frozen spinach that I cooked in the microwave for a couple of minutes and that worked really well. Now prepare your Lasagna Noodles according to package instructions. You’ll need about 12 noodles for this recipe. Once they are cooked and drained, lay them flat (I used my cutting board) and make sure they’re dry. Spoon just enough filling onto each noodle to make a thin layer of cheese, leaving the last inch or so free of filling as it will ooze as you roll them. Then slowly roll up each lasagna. 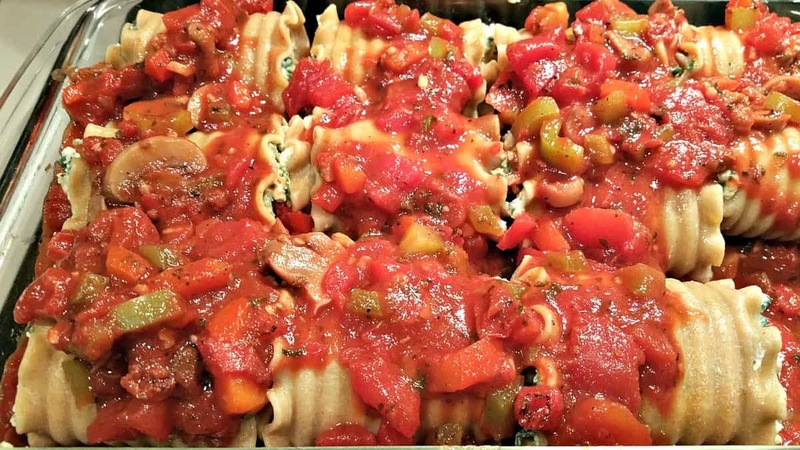 Layer the bottom of your favorite lasagna pan with about 1 ½ cups of sauce and then lay your rolled up lasagna seam side down on top of the sauce. Continue rolling your lasagna noodles and placing them in your pan. Cover with another 1½ cups to 2 cups of sauce and bake in a 325-degree oven for 20 minutes. A really good ‘Parmesan” to go with this recipe, (or any Italian Recipe) is this quick and easy Cashew Parmesan. Process until it resembles a course Parmesan Cheese and sprinkle on your favorite recipes. My wife absolutely loves this stuff on her toast, popcorn, you name it. We always keep a supply handy using an old Parmesan Cheese shaker container. Well, that’s it for now. This is a pretty labor intensive recipe, and I did have a few dishes to clean up afterward, but it was SO worth it. Like I said, if you want to impress your family or friends, this is the recipe for you. 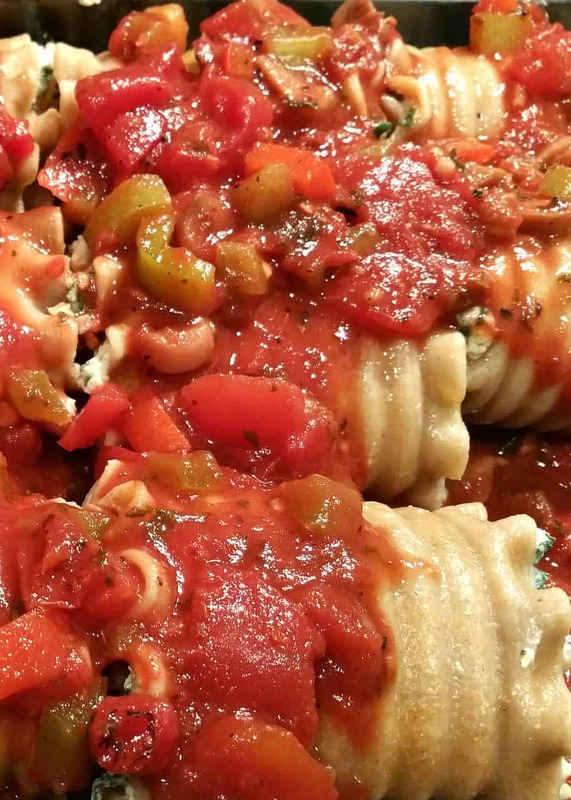 These delicious Vegan Lasagna Rollups are an excellent way to introduce Plant-Based Recipes to your family and friends. Rich, elegant, and satisfying. Soak 1/4 cup Cashews in hot water. Drain and press Tofu and add to blender along with nutritional yeast, lemon juice, vinegar, and seasonings and process. Drain Lasagna Noodles and lay flat on a hard surface one at a time. Spoon ricotta mixture in an even layer down the length of each noodle leaving the last inch bare. Slowly roll us each noodle removing any excess that oozes out. Bake at 350 degree oven for 25 minutes. I used 60 minutes as a prep time but it really depends on if you already have the Marinara Sauce ready or not. This sounds yummy! I have a question about the spinach. What does 5-6 spinach mean? I made this for Christmas dinner today. Excellent! The ricotta was amazing! Thanks, Chuck! This recipe looks fantastic! 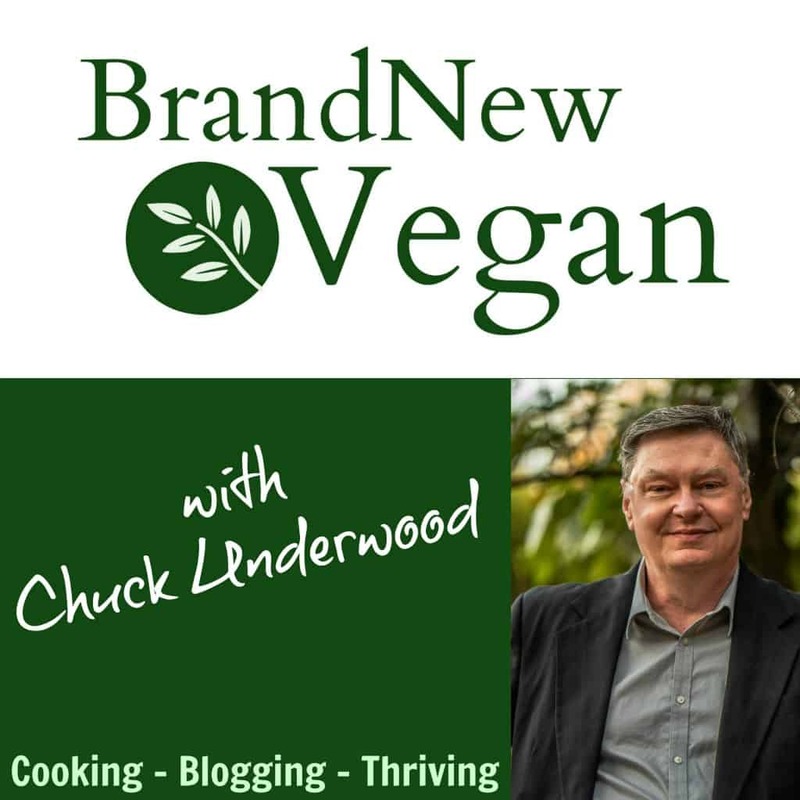 I’m literally a brand new vegan and I love your blog and recipes. Thank you for doing all this hard work! My question is this. Are you able to freeze this? I’m brand new to using tofu and I’m not sure if it freezes well. THANK YOU! Welcome. First, yes you can freeze tofu. But, you freeze it when you first buy it and then thaw it to use. It helps the texture. But freezing it like this after it’s already been used? Not sure as I usually don’t freeze many of my meals. Made this and it was fantastic! Thank you!! This was amazing! I added chopped mushrooms to the ricotta mixture but otherwise followed the recipe and my family just loved it!